It was easy, you could easily make quick decisions on where to stand just by looking. You didn’t need to do any research or create a strategy. It was easy to act. If they had a PM you can talk about that and if it was ok to act as an PM in this project. This will get a bit more tricky. Most groups have someone who realizes that they should add the new dimension as a new axle, but watch the behaviour, it is not all that manage to communicate it to the group and make them test it. Sometimes they might start doing weird solutions and you as a facilitator need to give more strict directions. If the space lets you, you want them to spread out in the room for the next step to have an impact. Sometimes the PM is trying to lead here as well, that usually fails. Now you had to ask each other to learn about the time it took in the morning. It was not quite that easy, and you also had the hight to take in consideration. If they had a PM you can ask how it worked out this time, if they didn’t have an PM this second time but the first, you can ask why that person didn’t act as PM this time. Show them what type of steps they should take, one feet tight after the other. Ask them to count the steps quietly in their head, and when they are done shout out what the number is and raise their hand (so you can see that all are done). When all are done, say: “Let’s go! Walk to that person, step by step.” They will realize quickly that their estimation is wrong. Push them to continue according to plan. Show them the Cynefin model. Simple/Obvious – The first exercise was in obvious conditions. Complicated – The second exercise was in complicated condition. Complex – The third exercise was in a complex condition. Chaos – We don´t show this, but you can talk about it, an example of how we react in chaos is “What would happen if suddenly a Tiger would appear in this room? How would you react? How easy was it to do an estimate in this situation? Should any of you like to have the PM role here, running around and telling people one and one to change direction too meet that person, and do you think your estimates would have been correct? Could it have worked if you were able to change your plan? Aha! When things change over time we have no way to analyze and plan for how the solution should be, and we need to be able to change our plan after learning. When in complex situations, as in most digital- and software development, we have learned that we need to use prototyping and testing, delivering often to validate that our solutions are working, and that we actually are solving an existing problem – and not make any detailed plans ahead. 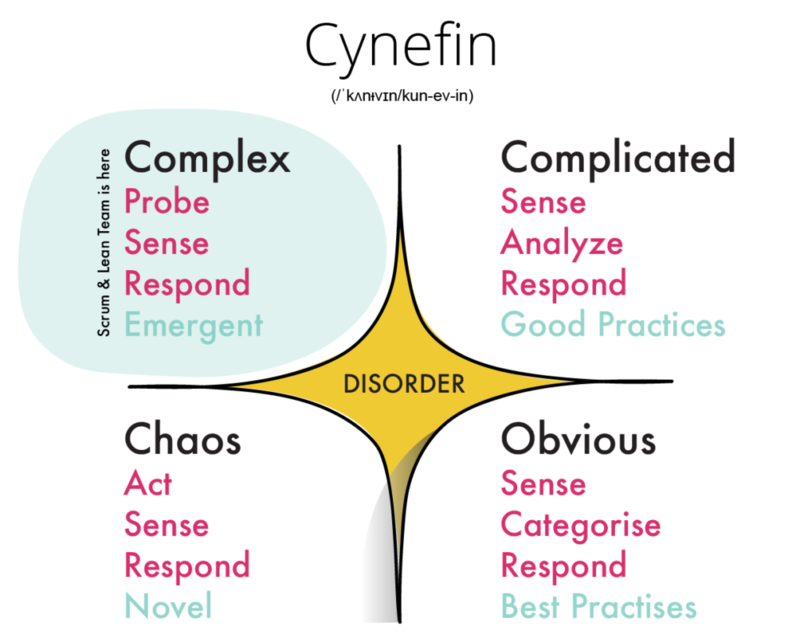 Go through the Cynefin model and talk about how we need to work, plan and lead our deliveries to be successful in complex situations – Probe, Sense and Respond, and that we need to find new ways of working based of previous knowledge and good practices that fits the current organisation, situation and culture. The poster is published under Creative Commons License, so please use it and share it as you like. 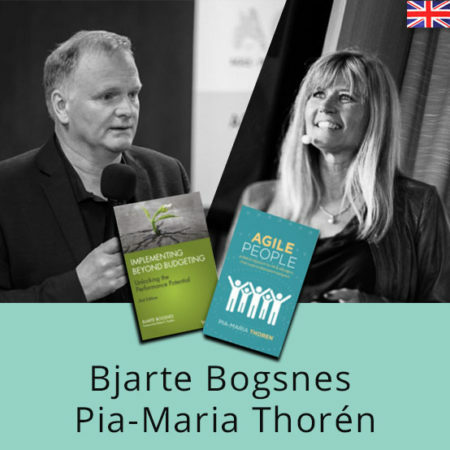 is it possible to download those cards for Cynefin simulation?